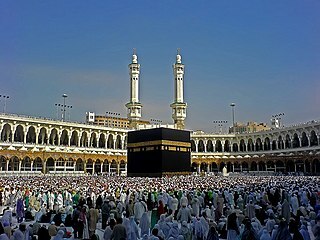 This image has been assessed under the valued image criteria and is considered the most valued image on Commons within the scope: The Kaaba. You can see its nomination here. This image has been assessed under the valued image criteria and is considered the most valued image on Commons within the scope: Tawaf. You can see its nomination here.